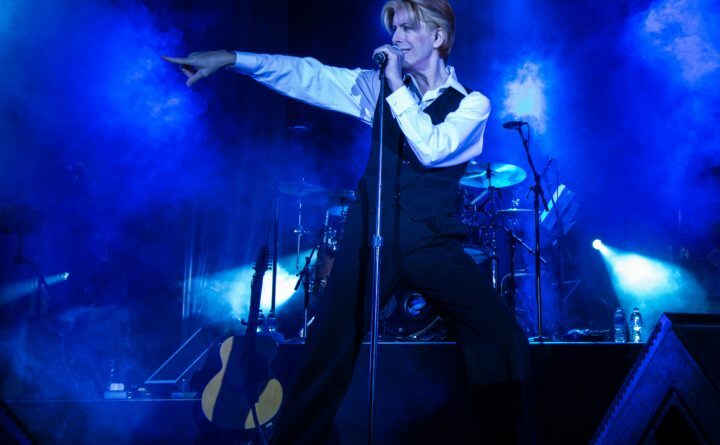 David Bowie impersonator David Brighton will perform with the Bangor Symphony Orchestra in March 2019. Both the Bangor Symphony Orchestra and the Penobscot Theatre Company this month announced the lineup for their 2018-2019 seasons, featuring several Maine premieres — from a contemporary Tony-winning musical, to a world-renowned David Bowie impersonator. The BSO’s season kicks off with an Oct. 7 performance of Ravel’s Piano Concerto in G featuring soloist Alon Goldstein, as well as pieces from Leonard Bernstein and Jean Sibelius. Bernstein will be a running theme throughout the season, as the composer and former mentor to BSO conductor Lucas Richman would turn 100 this year. Another concert is set for Nov. 4, featuring a performance of Beethoven’s Symphony No. 4, and violin soloist Chloe Trevor performing Bernstein’s Serenade. 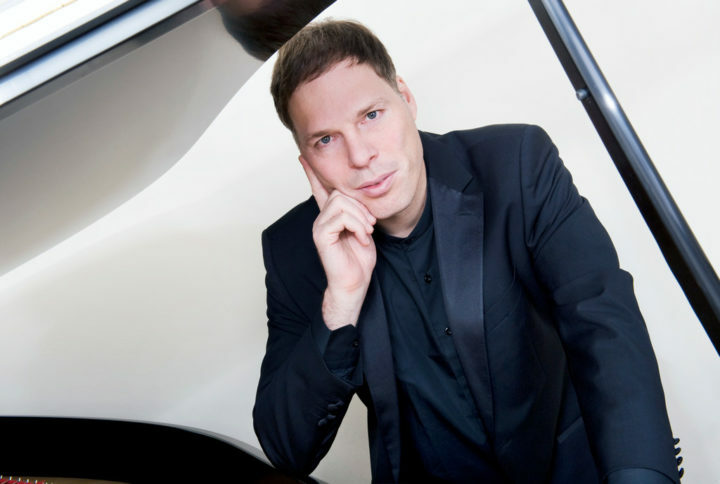 Pianist Alon Goldstein will perform with the Bangor Symphony Orchestra in October. The BSO and the Robinson Ballet will perform “The Nutcracker” Dec. 15 and 16, followed on Jan. 27, 2019 by a concert featuring works by Antonin Dvorak, George Handel and Johann Vanhal, featuring double bass soloist Edward Allman. On Feb. 24, 2019 the BSO will perform Mikhail Glinka’s “Ruslan and Lyudmila Overture,” Dmitri Shostakovich’s Symphony No. 9, and Robert Schumann’s Cello Concerto in A minor with cello soloist Nicholas Canellakis. For the Pops concert this year the BSO will perform the works of David Bowie, featuring internationally acclaimed impersonator David Brighton and his band. The concert is set for the evening of March 9, 2019. The annual choral concert is set for April 7, 2019, featuring a number of works including a new composition by Richman, and a performance of selections from Bernstein’s “Candide,” featuring soloists Amy Maples and Christopher Sanders. The season wraps up on May 5, 2019, with Mozart’s Symphony No. 33, and Anton Bruckner’s Symphony No. 4. All BSO concerts are held at the Collins Center for the Arts in Orono. Tickets are available by calling 942-5555, or visiting bangorsymphony.org. Penobscot Theatre Company will open its season in September with a performance of a stage adaptation of “The Graduate,” based on the iconic 1960s film and novel. It runs Sept. 6-30. In October, PTC will present “Wait Until Dark,” a classic stage play about murder, deception and trickery that runs Oct. 18-Nov. 4. In December, PTC’s holiday production will be “Elf: The Musical,” a Maine premiere of the hit Broadway musical that adapts the beloved Christmas movie about Buddy the Elf. “Elf” will be performed Dec. 6-30. Over the winter, PTC will present “Honky Tonk Laundry,” a jukebox musical featuring popular country songs made famous by Reba McEntire, Carrie Underwood, The Dixie Chicks, Dolly Parton, Patsy Cline, Tammy Wynette and Loretta Lynn. It’s set for Jan. 31-Feb. 24, 2019. 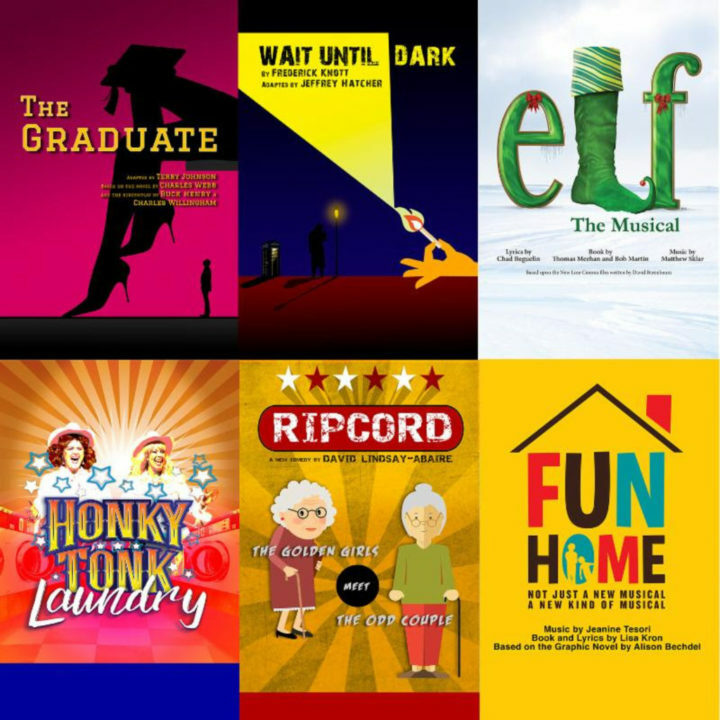 Posters for the Penobscot Theatre Company's upcoming 2018-2019 season. David Lindsay-Abaire’s hilarious comedy “Ripcord,” about two bickering older women living in a retirement community, is set for March 14-31, 2019. The regular season winds down with the Maine premiere of “Fun Home,” a musical based on Alison Bechdel’s acclaimed graphic novel, which won the 2015 Tony Award for Best Musical. The show, a touching story about a unique family’s trials and tribulations and a young woman discovering her own sexuality, will be performed April 25-May 12, 2019. A seventh show will be announced in Spring 2019. All PTC shows are performed at the historic Bangor Opera House in downtown Bangor. Tickets can be purchased by calling 942-3333, or visiting penobscottheatre.org.